Cutting with scissors is considered to be a pre-writing skill. Use the quick links below to jump to answers to your questions on this page. How does scissor cutting help develop pencil control? 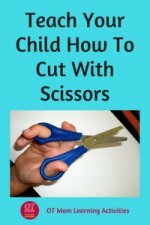 How does a child learn to cut with scissors? Have a look at this pic of a mature pencil grip and you can see how these tripod fingers (thumb, index and middle fingers) are working well together to control the pencil. 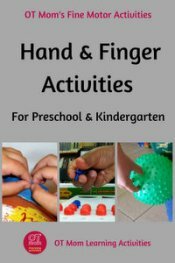 Cutting with a proper scissor grasp, will give these fingers lots of practice in working together, and will strengthen your child’s hand muscles. This will help to improve fine motor skills and to develop the correct pencil grasp and pencil control for good handwriting. Cutting out on a line also helps to strengthen visual-motor skills, which may help improve handwriting. Because we want the tripod fingers to get lots of practice (in preparation for holding the pencil), the thumb, index and middle fingers need to be through the scissor holes. However, the type and size of the holes affects the exact positioning of the fingers. 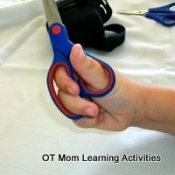 If your child is just learning to cut, or if your child has weak hands and poor fine motor control, then look for scissors that have a large oval hole that the index and middle fingers can both fit through. 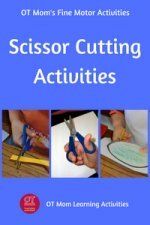 Once your child has gained some mastery of scissor cutting, you can increase the fine motor challenge by using scissors that have just two small round holes. Have your child put the thumb in one hole and the middle finger through the other hole. The index finger then needs to sit on the outside of the scissors to help stabilise the scissors and give more control. Round and oval holes. Thumb through round hole, middle and index fingers through oval hole. Two oval holes. Thumb through one hole; index and middle fingers through the other hole. Two round holes. Thumb through one hole; middle finger through other. Index finger on outside for stability. Holding the scissors in this way enables the tripod fingers to work together well. You can help your child keep the ring and little fingers tucked away by holding a little piece of paper under them. Keeping the ring and little fingers tucked away develops "ulnar stability" , which basically gives the side of the hand more stability, which frees the tripod fingers up to move more accurately. Left-handed children should always cut with their left hand, using left-handed scissors. Left handed scissors are vital to enabling them to cut successfully. This is important as it helps them to make their dominant hand strong and specialized. 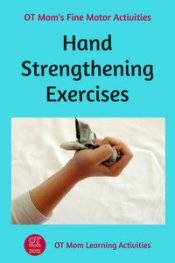 A left handed child who cuts with the right hand is missing out on strengthening and refining the hand muscles needed for good pencil control. So-called “ambidextrous scissors” are a marketing ploy – it is not the comfort of the handles that makes a difference, it is the way the blades are fixed. Look at the picture above: the scissors on the left are for lefties, and you can see how the blades are attached differently from those on the right-handed scissors. This enables the child to see the line effectively when cutting out. 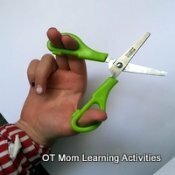 When a left-handed child cuts with right-handed scissors in the left hand, the child usually ends up holding the paper or the scissors awkwardly in order to cut on the line, and this may result in untidy cutting. 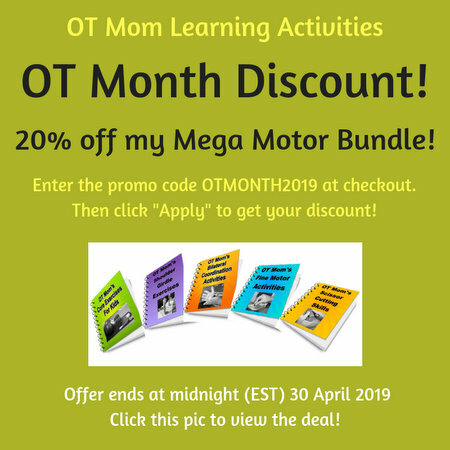 If you are trying to get to grips with helping your left handed child, then visit this site designed especially to help left-handers (opens in a new window). Or check out the range of scissors that also come in left handed versions, from PFOT. 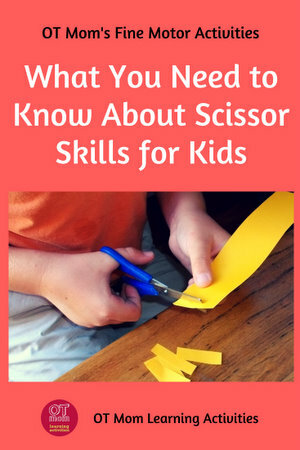 It is best to teach these two skills separately, and help your child to get the hang of opening and closing scissors before attempting any "proper" cutting out. 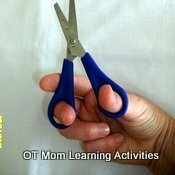 Head over to my detailed page to teach your child how to use scissors. Lots of photos and tips abound! Help your child master the grasp-release motion and gain confidence with snipping before moving on to cutting on a line. Lots of tips and photos to help you! 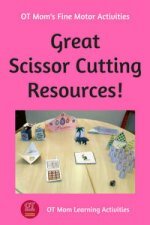 Head over to my Cutting Activities page to get some free scissor cutting ideas and a free cutting template download! 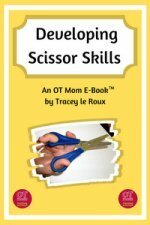 All my scissor skills information and tips in an easily accessible e-book download! These awesome cutting printables will give your child lots of opportunity to master scissor cutting while creating lovely end-products! 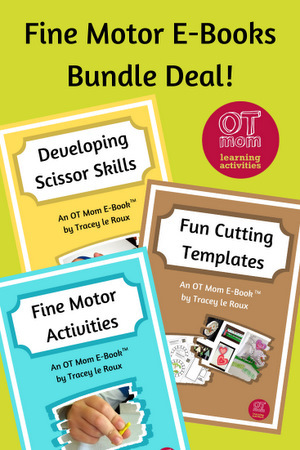 PFOT stock a range of self opening, adapted and other special resources that are designed to help kids who struggle with scissor cutting. Check out their resources here! Ratcliffe, I., Concha, M. & Franzsen, D. (2007). Analysis of cutting skills in four and six year olds attending nursery schools in Johannesburg. South African Journal of Occupational Therapy. 37. 4-9. Ratcliffe, I., Franzsen, D., & Bischof, F. (2010). Development of a scissors skills programme for grade 0 children in South Africa - A pilot study. South African Journal of Occupational Therapy. 41. 24-31.